Are you missing multiple missing teeth? Riverheart Family Dentistry is known for excellence in tooth replacement and other cosmetic dental treatments. 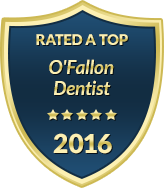 We offer top quality dental bridges that are comfortable and beautiful. Choosing to restore your smile after missing teeth can provide numerous advantages. A complete smile not only boosts your self-esteem and chewing function, but it is also necessary to prevent further dental complications. Electing not to replace multiple missing teeth can cause existing teeth to shift, which may disrupt your bite alignment or result in a crooked smile. Dr. Schwarz is a gentle and highly skilled dentist who understands the value in providing dental bridges that are comfortable and functional, yet natural and beautiful. We realize that replacing missing teeth is a long-term investment and one that will impact your quality of life. Therefore, our team works hard to make sure our patients are well-informed of their options and confident in their treatment decisions. Dental bridges are fixed prosthetic teeth that are permanently linked in a row, either on the top or bottom teeth. A dental bridge may be supported by your natural teeth with crowns or with dental implants. Dr. Schwarz will determine which type of dental bridge is best for you based on the number and location of your missing teeth, your candidacy for dental implants and your personal preferences or budget needs. When it comes to a dental bridge or other cosmetic dental services, Riverheart Family Dentistry puts your comfort and convenience first. We offer options in sedation dentistry and the latest comfort technology to keep you relaxed during your procedures. To meet your scheduling and budget demands, you will find that our practice offers extended weekday hours and flexible payment plans. At Riverheart Family Dentistry, completing your smile doesn't have to be stressful. Contact our office today to schedule your dental bridge consultation with Dr. Travis Schwarz in O'Fallon.